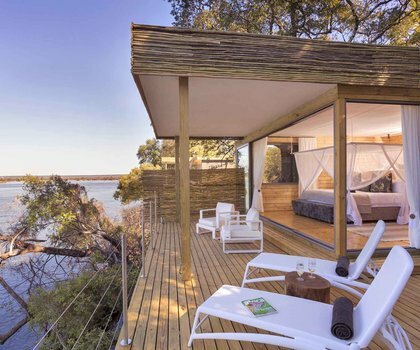 Found in a remote but enviable part of the Maasai Mara National Reserve, Singita Mara River Tented Camp stays true to its name with unobstructed views of the Mara River. Here, safari-goers will have a front-row seat to one of the most exciting spectacles of the Great Migration: the strenuous crossing wildebeest undertake through the crocodile-infested waters of the Mara River. 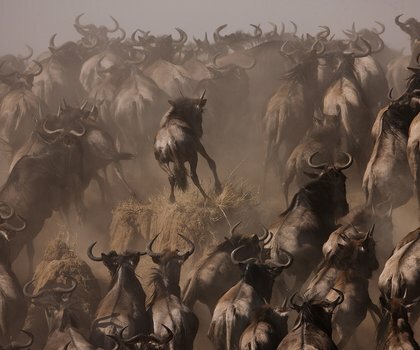 The Great Migration is a seasonal journey undertaken by scores of wildebeest, zebra and gazelle, whose overwhelming presence has caused the Maasai Mara and Serengeti ecosystems to become a designated UNESCO World Heritage Site. Here, onlookers can marvel at the perennial cycle of life that unfolds on this tract of African landscape. 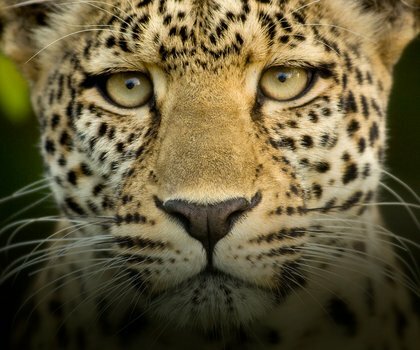 Year-round, the area surrounding the Mara River is known for sightings of the Big 5 and its high concentration of cats. Mara River Tented Camp’s main lodge is decorated in a colour palette that pays homage to the local Maasai. Its One-bedroom Tents and Family Tents give off a dreamy, bohemian quality thanks to the drapes of canvas and netting that adorn its interior. Relish delicious fine dining prepared by the on-site culinary team and unwind under the stars with a glass of award-winning wine. Four Seasons Serengeti Safari Lodge is certainly one of the most memorable ways to experience the Serengeti. The Safari Lodge offers absolute tranquility and unique activities including hot-air balloon rides, picnics in the bush, and safari photography classes that get you face to face with Tanzania’s magnificent creatures.